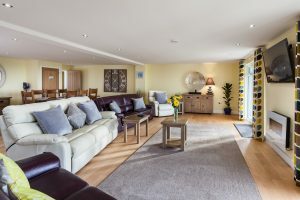 Oceanic is a magnificent 5* new holiday home with spectacular sea views which can sleep up to ten guests and has parking for five cars. 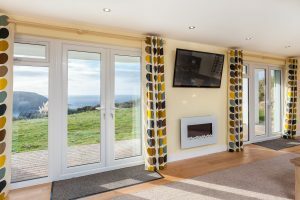 This versatile, large ground floor holiday property is situated in the coastal village of Portreath where there is a lovely golden, sandy beach which is popular for swimming, surfing and kayaking. 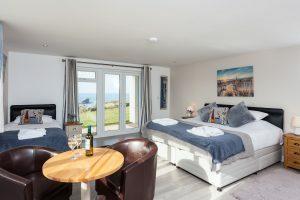 The village also has a varied selection of independent shops, restaurant and cafes, with the iconic Gull Rock and superb beach, Portreath is one of the most delightful seaside resorts in Cornwall. 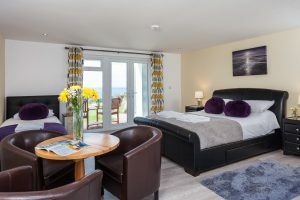 Bed Configuration - 2 X King Size Beds, 1 x Super King Bed (can be made up as a Twin), 2 X Single Beds, 1 x Double Sofa Bed * Please let us know your preferred bed configuration at least 2 weeks before your stay.